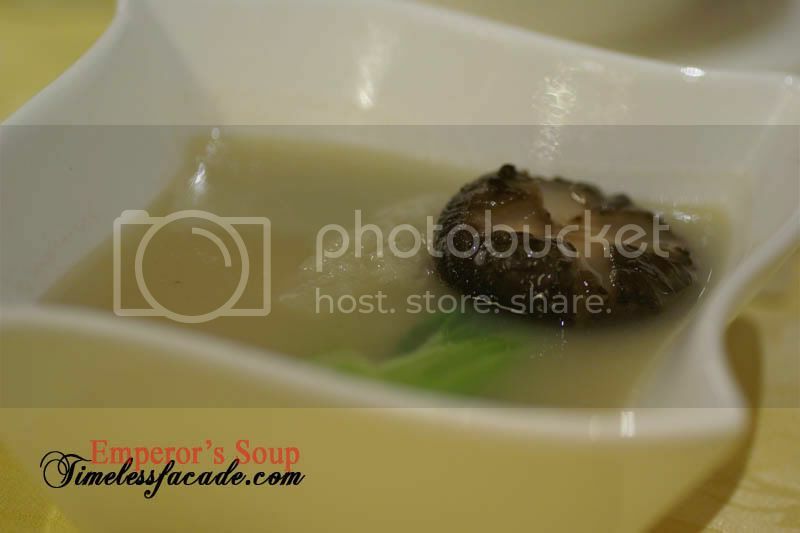 Emperor's Soup - a restaurant headed by Executive Chef Edmond Lui, whose stellar resume includes a decade of service at Pine Court, stints at Marina Mandarin, Lei Garden and the now defunct Boulevard Hotel. 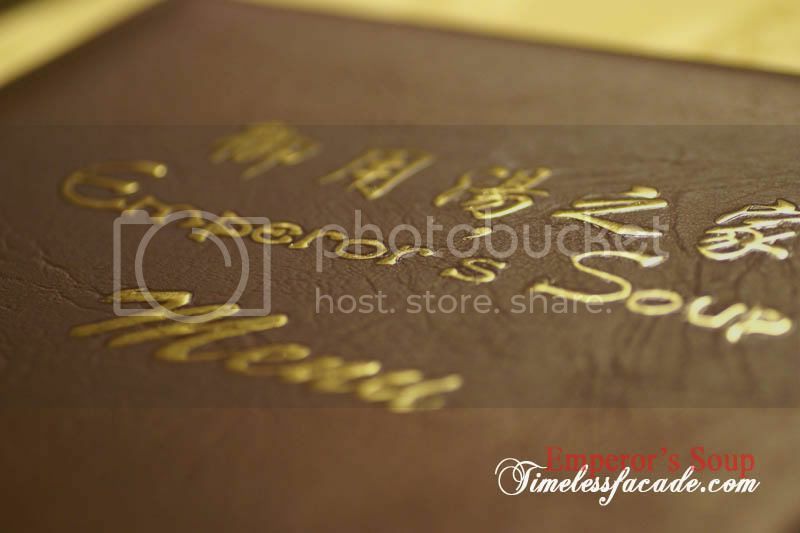 Purportedly well versed in the art of high end Cantonese cuisine, Chef Lui aims to offer restaurant quality food at neighbourhood prices. 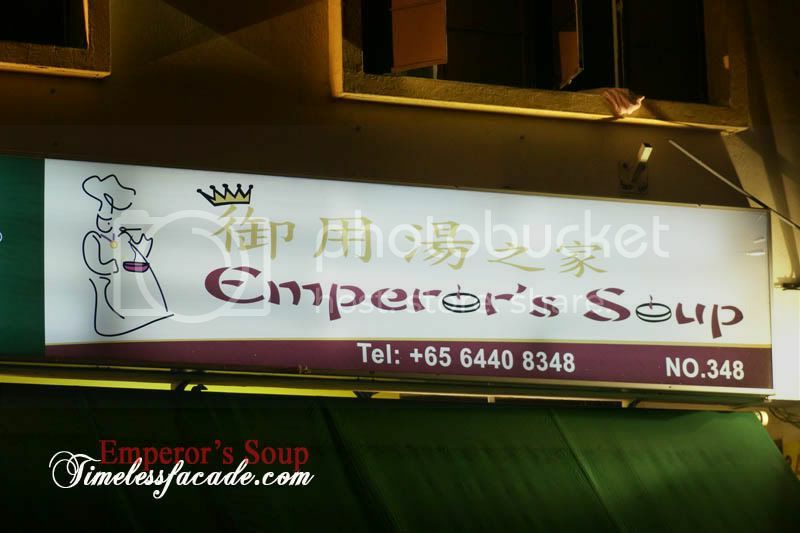 Nestled in the former seedy neighbourhood of Joo Chiat just down the road from Canton Wok and Joo Heng, Emperor's Soup occupies a small unit space that probably seats about 30 pax, so if you are coming on weekends for dinner, a reservation might be a good thing to have. 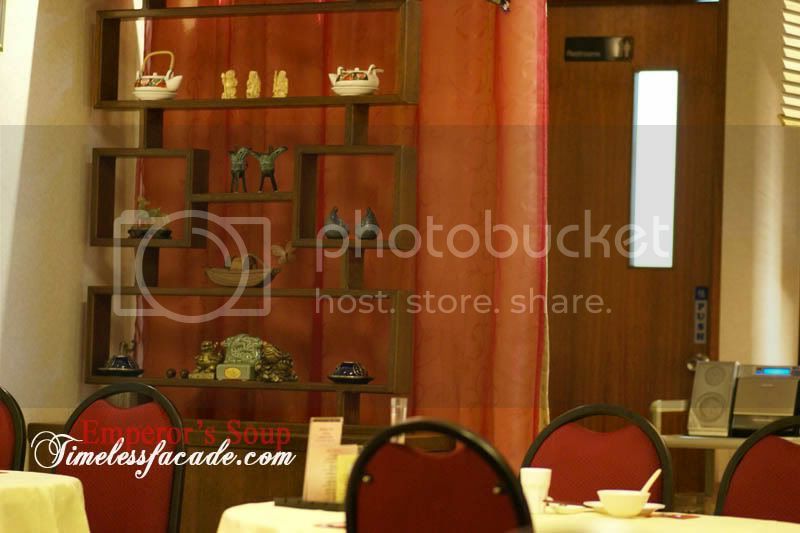 The interior is simply done up with red curtains and wooden racks exhibiting replica Chinese antiques and ornaments. Instrumental Chinese music wafts through the air from a portable stereo system located near the entrance to the washroom. 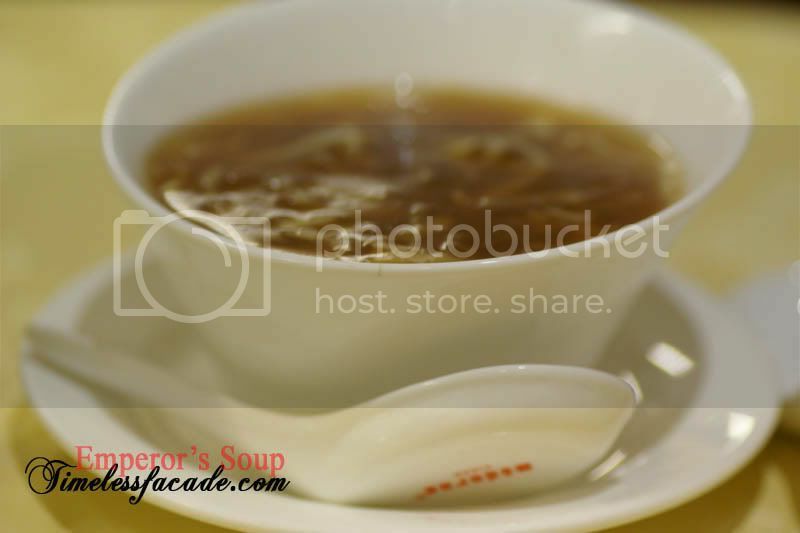 At first glance, I thought the bowl holding the milky broth would be the shark bone soup but it turned out to be the shark's fin broth, which was really quite a deviation from the norm, especially when the shark bone soup turned out brownish in colour. This non milky shark bone soup is definitely a first for me and it tasted exactly like shark's fin soup but much starchier. Very average if you ask me. The averageness carried on to the shark's fin broth, which came across as a little too milky for my liking. I couldn't actually make out any sea cucumber so either they missed it out or I wasn't looking hard enough. I honestly didn't quite take to this dish although I must admit that the soft shell crab was quite well fried. The minced pork or 肉松 was crispy and not too sweet as well but personally I found it overly oily from the amount of oil the deep fried batter absorbed. Sans the oil, I would probably have liked it a whole lot more. 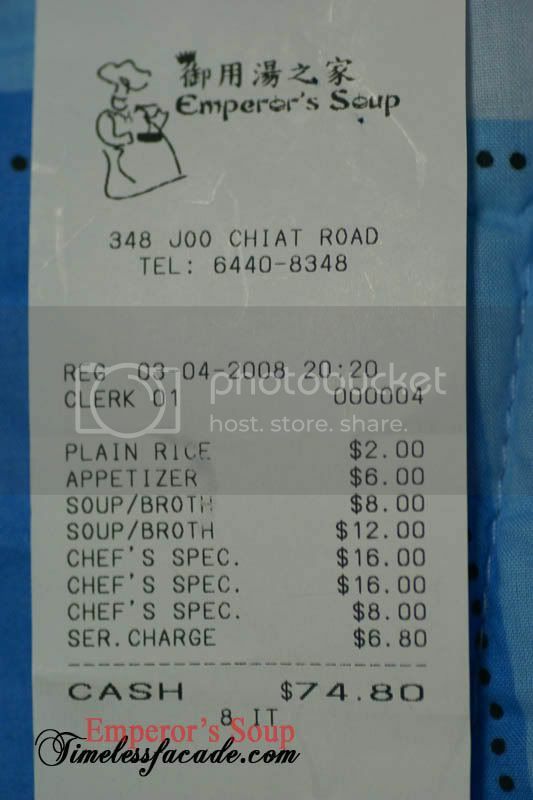 I thought I had landed myself a bargain at $8 for superior bird's nest. But as the adage goes, you get what you pay for. 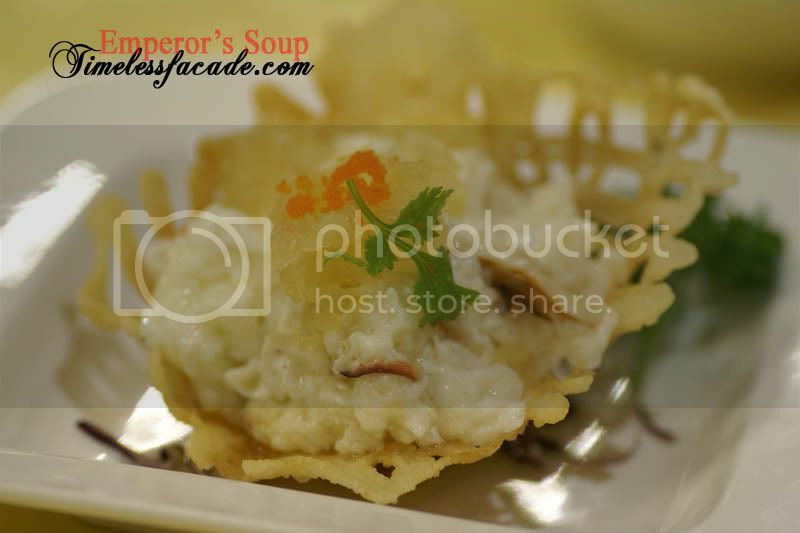 Served atop a bed of egg white cooked with milk, the bird's nest was barely a teaspoonful which wasn't even sufficient to gauge the quality of it (not that I know much about differentiating the various grades of bird's nest). One peeve I have with this dish was the raw fishy smell that emitted from the egg white, although the egg white came across as rather bland. 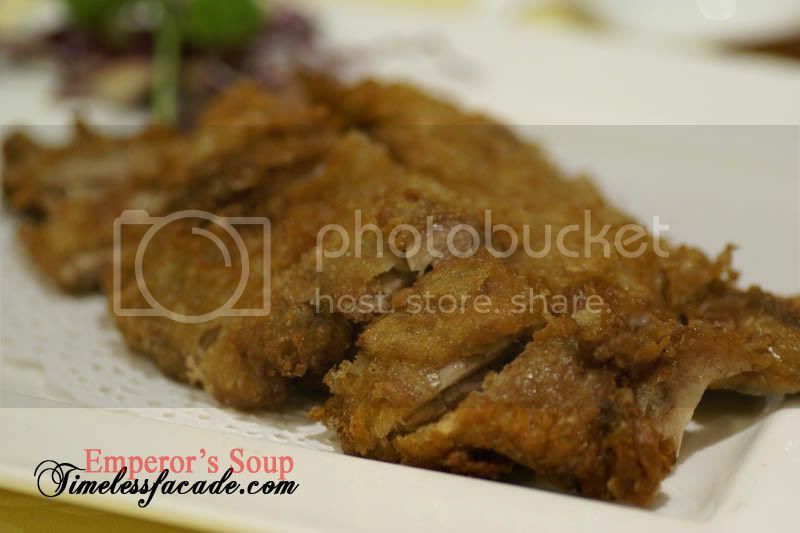 I must say that the crispy duck was quite decent, crisp on the outside yet tender on the inside. It tasted uncannily like KFC's original chicken except that this was duck. What I liked about the duck was that it tasted fresh. 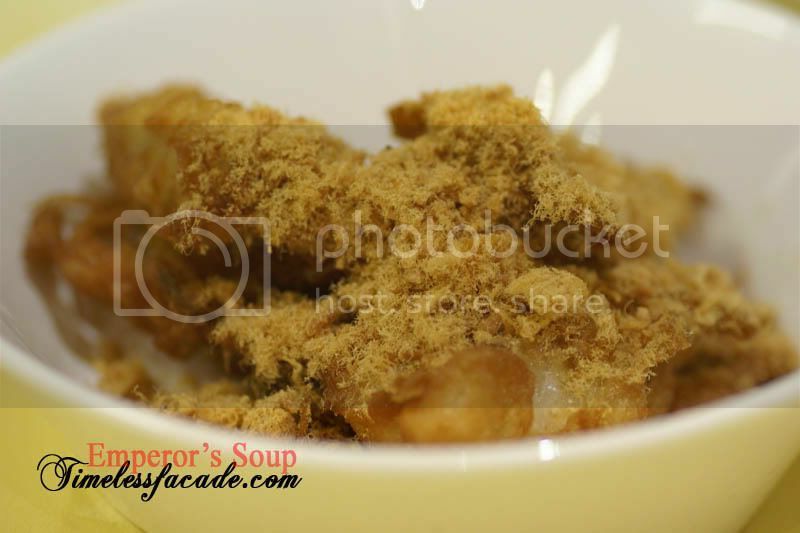 No traces of reused oil which is prevalent in a lot of such deep fried dishes. It also helped that the duck was boneless. 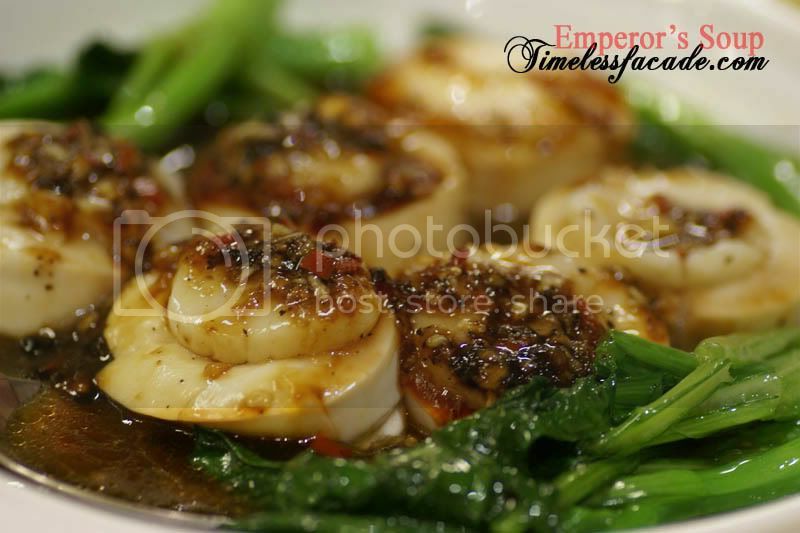 Smooth quivery beancurd topped with thinly sliced scallops and covered with a mild black bean sauce. The verdict? Decent enough but would have been better if the scallops actually had some taste in them. A slightly above average meal set the 2 of us back by almost $75, which doesn't quite equate value for money. Service was decent though. To be brutally honest, I didn't feel like an emperor after the meal, more like a pauper really. So much for the name. why the food so small portion one? FYI, the restaurant has closed down. Heard that the chef has been offered a job in China/HKG.